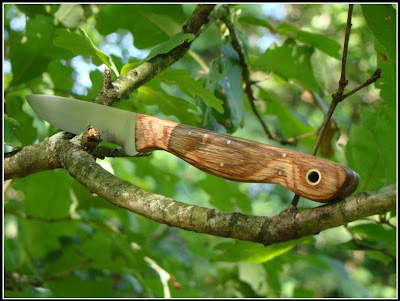 What has this got to do with this knife? Now there's a story. 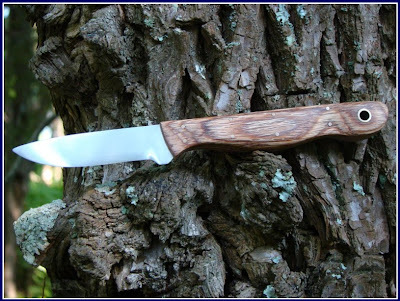 Last season, at the end of January I saw a post on a hunting forum by a fellow who uses a Russell Easler small game knife for skinning and so on while he is hunting squirrels. If you've ever priced such a thing, you know it can get a little bit expensive to buy. 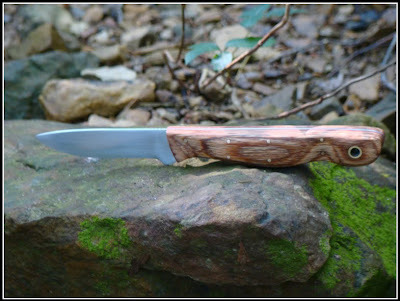 The Mrs. advised it was pretty but no way would I be spending the money on a knife like that. 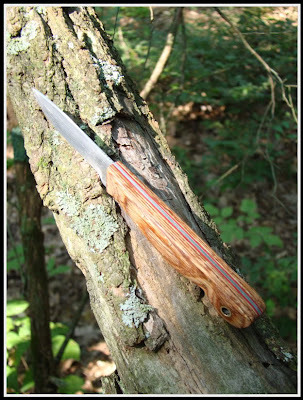 The I thought I would have to learn to make knives so I could make one. I figured it was time to get to it. 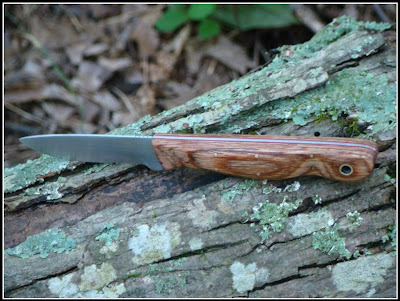 An appropriate knife needed to be fashioned. I spent a bit of time drawing out a profile and found some 1/16th inch o1 that would be usable to make this happen. I cropped it at about 6 3/4" over all with a 2 1/2" blade. It's flat ground and hardened and double tempered. This one will be a cutter.